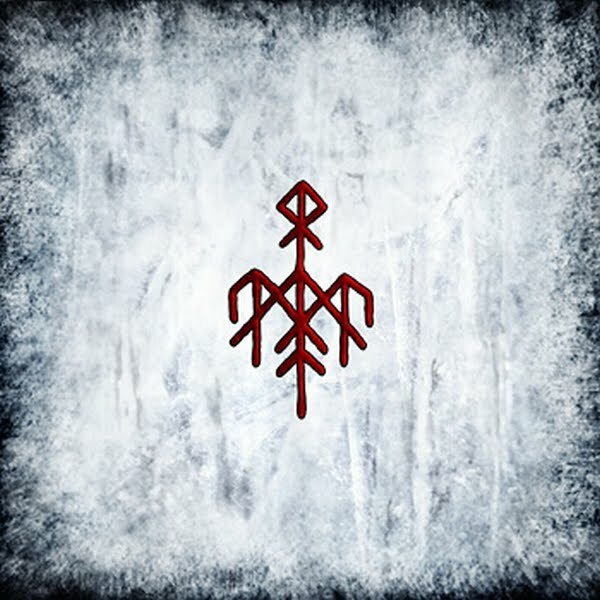 Wardruna is a project fronted by Einar Selvik, better known in metal circles as Kvitrafn. After drumming for several Norwegian groups, including Gorgoroth, Bak De Syv Fjell, and Sahg, he decided to take his musical aspirations one step beyond. The first piece of a conceptual trilogy, Gap Var Ginnunga is a thematic exploration of the ancient Norse runes; the Elder Futhark. Each track is a sonic representation of what Selvik feels is the mystical and spiritual connotation of a particular rune, which in addition to serving as the Norse alphabet, were said to be of divine origin and imbued with magical power. On this initial piece of the Runaljod (or “sound of the runes”)-trilogy, Selvik is joined by Hallvard Kleiveland on the traditional Hardanger fiddle, and the vocal contributions of Linda Fay Hella and black metal frontman Gaahl. Selvik himself plays all additional instruments, including a large variation of traditional and home-made percussion equipment, goat horns, mouth harp, samples, and throat-singing. To attain the proper ambiance suited to each rune, some of the recordings were apparently made under the open sky, in forests and in the mountains. Consequently, the album is filled with the sound of birds, flowing rivers, gusts of wind, and plenty of other organic touches. Musically Gap Var Ginnunga is difficult to nail down, as each song tackles different themes. Parallels can be drawn to contemporary acoustic folk acts like Finland’s Nest or Tenhi, but with a definite Norwegian bent. 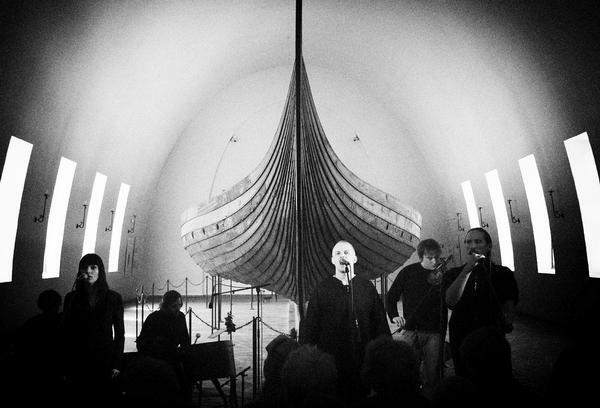 Through their uniquely esoteric atmosphere, Wardruna is not only the sound of the darkest woods and deepest valleys, it is a sonic journey into what the Norse called “Ginnungagap”, which can be roughly translated to “The yawning void”; the primordial void which existed before the universe was created. Wardruna is a meditation on the mystical and sacred powers which was said to exist within this void. Tranquil ambient soundscapes are elevated by the gorgeous Hardanger fiddle, while Gaahl’s voice is downright ritualistic in its strict rigidity. Entrancing chants, performed predominantly in old Norse, flow effortlessly between the beautiful vocals of Hella, and Selvik’s enigmatic whispers. All of this is spun together with the powers of the runes, and the earthy sounds of pre-Christian Norway. Of course the historicity of a musical piece like this will always be largely revisionist, but using the runic mysticism as a way to interpret and experience nature gives Runaljod a timeless and ethereal character. All the elements of Gap Var Ginnunga are woven together so masterfully that it’s baffling how Selvik used to be known only as a drummer. Many neofolk and folk-ambient projects have attempted to channel nature and pagan themes, but very few, if any, can boast such a magnificent and humbling atmosphere. If your only exposure to Wardruna is through the History Channel’s hit series Vikings, now is an excellent chance to dive into the primordial void of Runaljod. In fact, everybody ought to hear this masterpiece at least once. Still awaiting the final piece of the trilogy, this reissue is a welcome reacquaintance. This entry was posted in Reviews and tagged acoustic, ambient, Bak De Syv Fjell, Dead To This World, Det Hedenske Folk, folk, gaahl, Gaahlskagg, God Seed, Gorgoroth, Jotunspor, Kvitrafn, neofolk, Nest, norway, Of The Wand And The Moon, Re-issue, reissue, Runaljod, sahg, Sigfader, Sol Invictus, Tenhi, traditional, Trelldom, Wardruna.